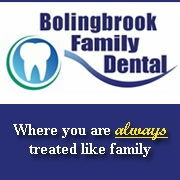 Click here to learn more about the Bolingbrook Family Dental! 100% of patients would refer friend and family to us. With a more beautiful smile, you also get improved confidence, gain a greater peace of mind, and better overall health (added bonus!). Bolingbrook Family Dental is designed with your comfort in mind. Our practice provides the most modern restorative and general dental care available. Dr. Priti Chokshi (Dr. Priti to her patients) and the friendly, skilled staff at Bolingbrook Family Dental invite you to try us for a truly unique and enjoyable dental experience. We proudly serve Bolingbrook, and it's surrounding areas of Woodridge, Plainfield, and Romeoville. We offer a wide variety of services. Whether it be periodontal or hygienic care, exams and cleanings, teeth whitening, crowns, bridges, implants and other restoratives, veneers, or teeth whitening. We now offer CEREC, one visit crowns (or caps) as well! We realize it can be a bit stressful at the dentist, so your comfort is always our primary concern. We do our best for our fellow patients of Bolingbrook and neighbors in Woodridge, Plainfield, and Romeoville to make you feel comfortable throughout every step of your procedure. We also provide emergency dental appointments for those sudden toothaches or accidents. Please call us directly at 630-739-0232 to schedule your visit and get answers to all of your dental questions. We are on time for more than 97% of our appointments. If our schedule is running behind, we will do our best to contact you in a timely manner.